Double Bay Front Lot on Exquisite San Carlos Bay. 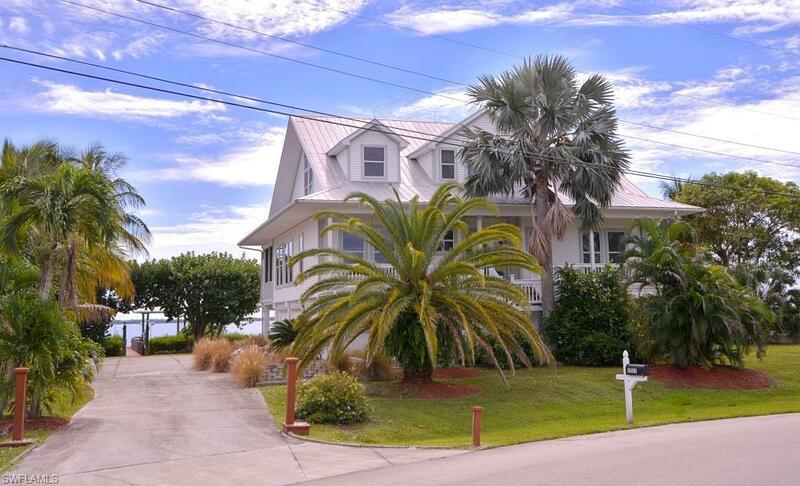 Custom Built Cape Cod Style Home with a Southern Exposure overlooking Sanibel Island. Stunning Views all around. 3 bedroom, 2 bath home, 4 car garage. Kitchen has Corian countertops. Hardwood floors in living & dining area, Tile in kitchen & all bathrooms, carpet in bedrooms. complete top floor is the Master suite boasts over 1050', has a wet bar, 4 large walk in closets, and a private balcony. Pier with covered boathouse and lift for your boating pleasure. New Ace 10, 000 lb motors and cradle on lift. Make your appointment today!